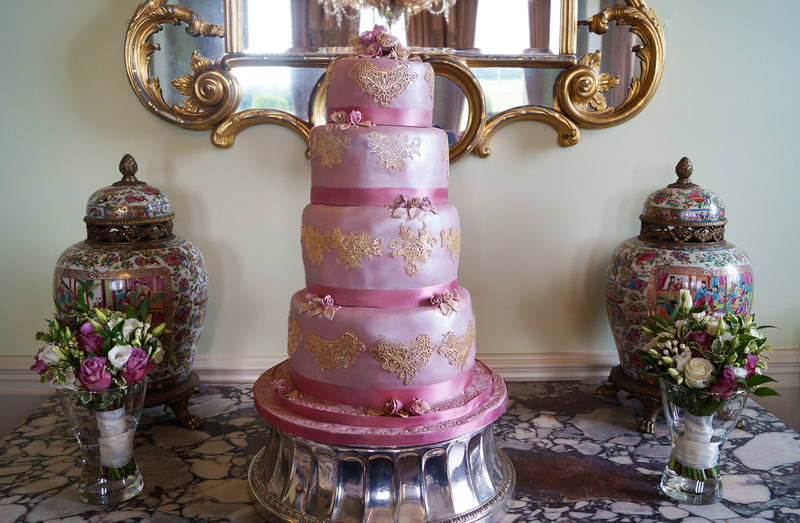 Complete your perfect day with a perfect wedding cake – from a traditional three-tier cake to an avant garde topsy-turvy masterpiece. 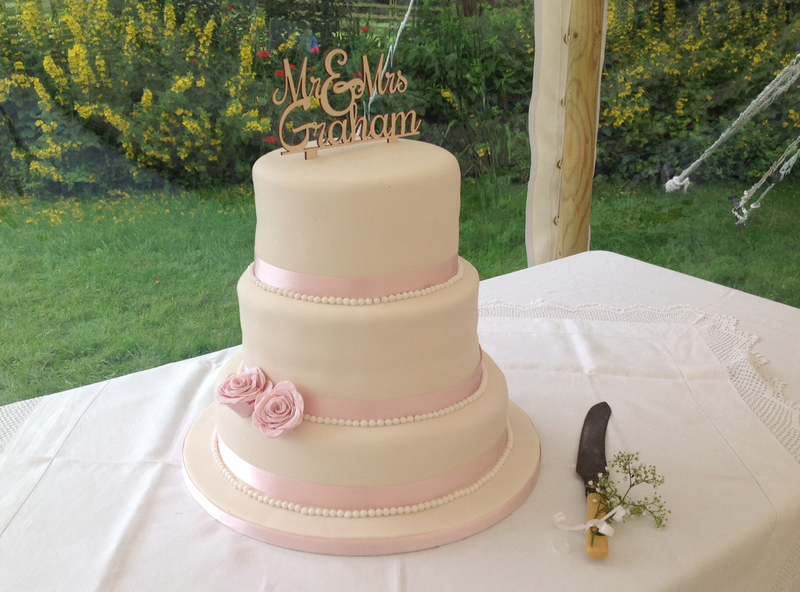 We use only the finest ingredients and will take extra care to make your sure wedding cake leaves a lasting impression on everyone’s taste buds. Three tiered luxury fruit cake with royal icing and handmade sugar flowers. 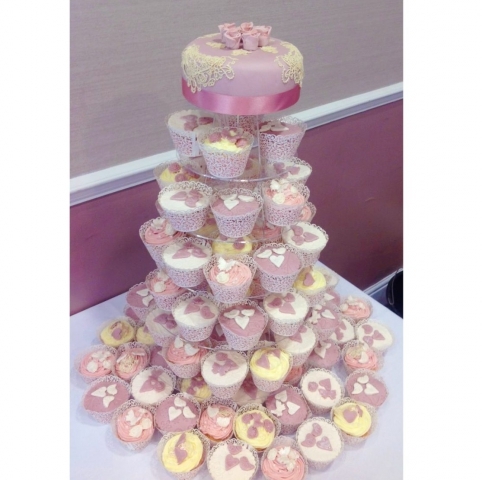 Traditional fruit cake decorated with edible lace, accompanied by an assortment of lemon and raspberry cupcakes - it's much easier to sneak these home! 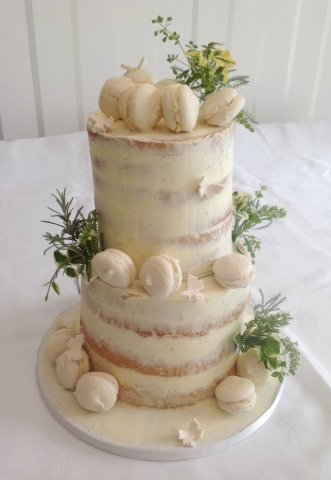 An extra tall 'naked' vanilla cake with buttercream, handmade macarons and fresh floral decorations to finish it all off. Four-tiered creation with layers of fruit, elderflower and strawberry, white chocolate and raspberry and lemon and passionfruit sponge cakes, topped off with edible gold lace and icing flowers. 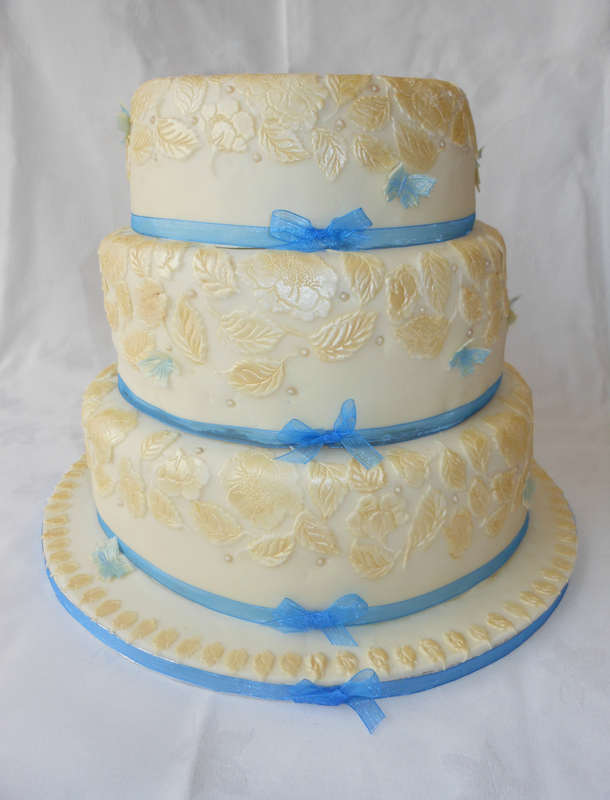 Three tiered wedding cake with ivory leaf decorations, and layers of traditional fruit, rich chocolate and tangy lemon flavoured sponge cakes.